Custom gears, custom gearboxes, and custom sprockets. 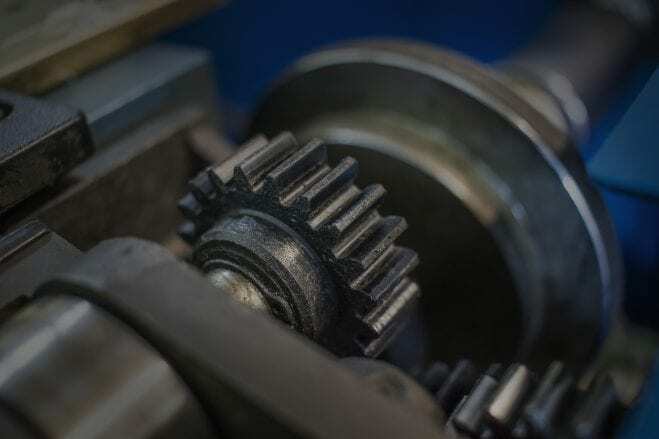 Uintah Machine has been providing customers with custom gears, custom gearboxes, and custom industrial sprockets since the 80's. We build direct-replacement gears for many applications, but also special "variations on the theme" for non-standard or special applications. Applications include belt drive gearboxes, turning gear apparatus for steam turbines, exciter couplers, steel mill applications, pellet press gearboxes, etc. We take pride in both our design and our workmanship. our work. Our customers have always been pleased by our quality. Uintah is happy to design and build custom parts to meet your specific needs. Call us at 435-738-2453 to learn more. Sign up below for the latest promotions, product news, and industry updates.